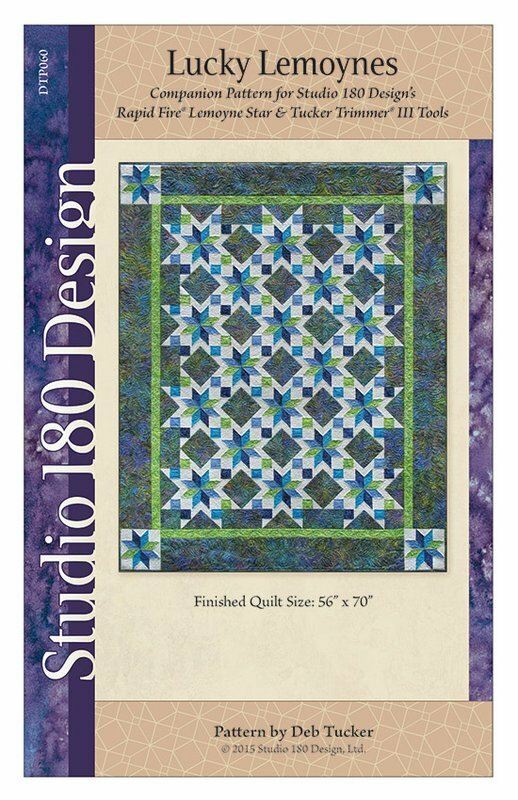 This exciting quilt design created by Deb Tucker is made using a layout of Lemoyne stars interspersed with groups of Shaded 4 Patches. The quilt on the cover features beautiful fabrics from Island Batik. Using Deb’s Lemoyne Star TM and Tucker Trimmer III TM tools you won’t have to gamble on this design coming out exactly how you want it to.